The success and sustainability of a business greatly hinges on the productivity and efficiency of its human capital. Volumes of literature have articulated the significance of elevated degrees of health and physiological functional capacity as determinants in performance. This is especially important in the business world since employees are patently charged with executing services and producing goods of high quality and in most cases, with great velocity. Productivity is influenced by the work environment, a salient contributor to the relationship shared between the employee and the employer, that also includes their beliefs, perceptions, and emotions, that collectively alter the course of individual success and growth of the organization (4, 5). Stress is typically described as a negative or positive condition which is capable of rendering a fusillade of physiological and psychological responses as it has been shown to incite complex reactions within neurological and endocrine systems. Chronic stress has been identified as a key driver of non-communicable cardiometabolic diseases (6) and likely stems from disruptions within the body's hormonal plexus - the hypothalamic-pituitary-adrenal (HPA) axis. Compromised HPA axis functioning causes cortisol levels to surge, in turn elevating blood glucose and insulin levels, that over time contribute to insulin resistance and persistent systemic inflammation. Occupational Stress is defined as "the harmful physical and emotional responses that occur when the requirements of a job do not match the capabilities, resources or needs of the worker" (U.S Department of Health). It is worth elaboring, that four in ten employees report that their job triggers severe stress and one in four employees report being exhausted with their work which research shows as being largely attributable to stress . 54 percent of employees report not being engaged in their work and 18% are actively disengaged, meaning that they act out their unhappiness on the job (9). Predictably, decrements in productivity can be expected. 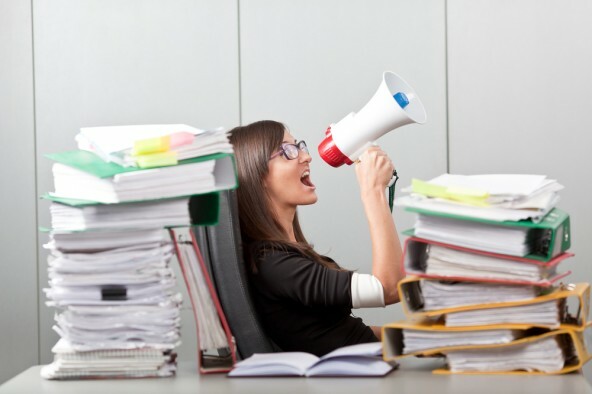 Factors influencing occupational stress may include, role ambiguity, work overload, lack of autonomy, difficult relationships with co-workers, lack of opportunity to advance or role conflict (4, 5). Individuals holding roles in certain occupations may experience a greater degree of work-related stress than others. For example, engineers have been found to experience a significantly greater degree of stress than those in management roles. This may be attributed to the nature of tasks engineers have to perform. Their assignments may be time sensitive or involve great risk and complications, all of which create tense working conditions (4). Frequent computer interaction may also leave workers susceptible to physiological and psychological stress and emanate from technology breakdowns, technology slowdowns, and electronic performance monitoring. The resultant stress can manifest itself in the form of physiological arousal, musculoskeletal pain; and mood disturbances. Over time this may lead to physical and psychological exhaustion (5, 10). Stress can also affect the behavior of the individual. When overly stressed, employees may exhibit negative behaviors such as impatience, pessimism, or defensiveness. They may also become uncooperative or hyper critical of their colleagues. Job stress may also result in greater perceived pain, poorer overall health and vital capacity (7). Furthermore, higher degrees of occupational stress are associated with low job satisfaction (5). Cognizant of the multiple psychosocial and environmental influences of occupational stress, it would behoove business leaders to implement strategies that measure and curtail employee stress in order to engender a happier and more productive work force (4, 10). Wellness programs, which are initiatives directed by employers to improve the health and well-being of employees, have been shown to increase productivity, improve morale, reduce absenteeism, and improve employee retention efforts (2, 8). Healthy People 2010, a federal health promotion initiative, recommends that comprehensive wellness programs include supportive social and physical environments, and links to programs related to mental health like Employee Assistance Programs (EAPs). Companies which avail these types of programs can strengthen their relationships with their employees and improve job satisfaction and retention. Such initiatives also demonstrate a significant return on investment. In a landmark meta-analysis, Baicker and colleagues showed that for every $1 invested in wellness, medical and pharmacy costs drop $3.27 and absenteeism costs fall another $2.73, equating to a return on investment of 6 to 1 (1). Baicker, K., Cutler, D., Song, Z. (2010). Workplace wellness programs can generate savings. Health Affairs, 29, 304-311. Berry, L.L., Mirabito, A.M., & Baun, W.B. (2010). What's the hard return on employee wellness programs? Harvard Business Review. Hunnur, R.R. Bagali, M.M. and Sudarshan, S. (2014) Cause and effect of workplace stress among police personnel: an empirical study. International Journal of Management Research and Business Strategy, 3, 198-208. Jain, K.K., Jabeen, F. Mishra, V. & Gupta, N. (2007) Job Satisfaction as Related to Organizational Climate and Occupational Stress: A Case Study of Indian Oil. International Review of Business Research Papers, 3, 193-208. Kyrou, I., Chrousos, G.P., & Tsigos, C. (2006). Stress, visceral obesity, and metabolic complications. Annals of the New York Academy of Sciences, 1083, 77-110. Lerner, R.M. (2008). What does research tell us about depression, job performance, and work productivity? Journal of Occupational Environmental Medicine, 50, 401-410. 7. Mujtaba, B.G. & Cavico, F.J. (2013). Corporate wellness programs: implementation challenges in the modern American workplace. International Journal of Health Policy and Management, 1, 193-199. Robinson, J. (2010). Despite the downturn, employees remain engaged. Gallup Management Journal. Smith, M.J., Conway, F.T., & Karsh, B.T. (1999). Occupational stress in human computer interaction. Industrial Health, 37, 157-173.